It’s supporter survey season. I will receive dozens of supporter surveys over the next four to six weeks. Make your supporter survey user friendly – for you and for the supporter. Too often charities only worry their supporter survey will be well received by the donor. While this is critical, think also about designing it also for ease for supporter services to track the data. Considering bar coding, at a minimum, the supporter ID to commence data entry of the survey results. Asking supporters to confirm, edit and enhance their contact details. Placing questions in a logical sequence for ease of data tracking in your CRM. This is particularly critical if your team will manually enter the results. Ensuring you ask information which will be put to use in segmentation and strategy for the future. Don’t just ask for information because it’s a survey, Will the questions you are asking allow you to connect your donors in a richer way to your charitable organisation? Asking questions you would answer yourself. Determining whether the survey is scannable for ease of recording the data in the supporter’s record. Automating the survey in order to get the data into the organisation’s CRM. Involving supporter services in the planning and development of your supporter survey. Planning for your supporter survey needs to start and end with your supporter services team. 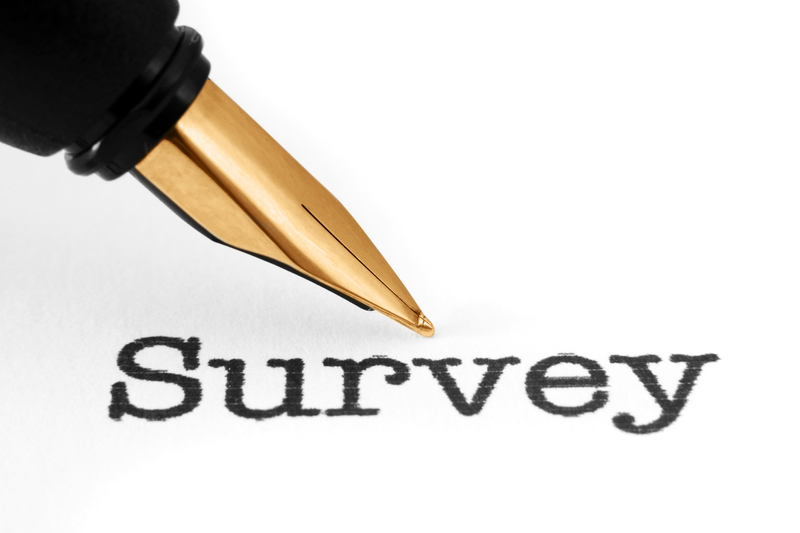 How is it that fundraisers may expect supporter services to embrace the survey if you have not asked them for guidance in development of the survey at the outset? Supporter surveys are used to seek the opinions of those closest to your organisation. The surveys are also used as a fundraising tool. You have one chance per year to deploy this important engagement tool. Don’t miss out on the opportunity. Make it work for you and for supporter services. What’s the number one mistake you can make when implementing your constituent relationship management (CRM) system for your charitable organisation, school, or university? The number one mistake is to leave it to your Information Technology (IT) department to implement it. Your IT department cannot do it solo and in a silo. Earlier this week I wrote a blog post titled CRM loses the new car smell quickly. Is a change worth it? 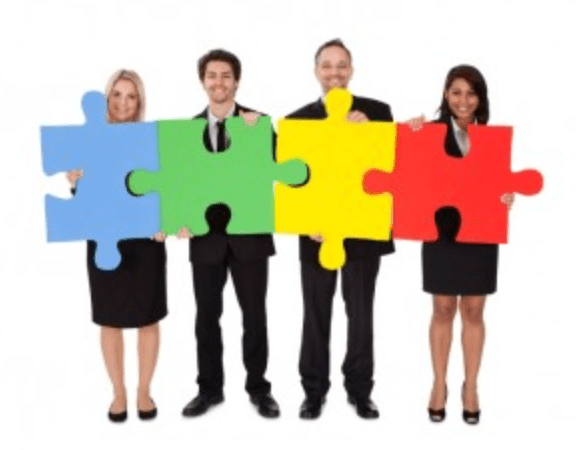 In the previous blog, I wrote about a five step process FundraisingForce uses to work with its clients to search for a CRM to meet their requirements. Searching for a CRM is only half the battle. Implementing it, and then maintaining it, completes the picture. Identifying a project team made up of key users, or subject matter experts (SMEs), to implement the CRM is critical. Too many organisations rely on the IT department to implement the new solution “because it is technology focused”. Sure, involve the IT team on the steering committee and use them when technical tasks arise. But, leave the actual implementation of business processes and business delivery up to your project team/SMEs. Your business owners/SMEs understand the finite detail of their business processes. IT teams are good at the back-end technology and infrastructure. Use the IT team for what it is good at and let your business owners drive the implementation and the change required. You would not put a chef in charge of your brain surgery, so why would you expect an IT team to be able to implement business processes in the front end of a solution? SMEs and staff in your departments will be the day-to-day users of the solution. Maintaining ownership of the implementation of the solution with these business owners is critical. To have IT own the CRM simply does not make sense. Core change management principles suggest change efforts must include plans for identifying leaders throughout the company and pushing responsibility for design and implementation down, so that change “cascades” through the organisation. IT transformation projects, such as the implementation of a new CRM, requires people across the organisation to lead and to get their teams to participate. Involving SMEs broadens the talent on the solution implementation team rather than have the focus of the project simply on the technology. If you want your CRM to be accepted, utilised, and proven to be the right investment, you need user adoption. The way to commence user adoption is to involve your SMEs and core users in the implementation. Your CRM project will be one of the single largest investments of your organisation. Engage the right talent at the right levels and remember your IT department cannot implement the CRM in a silo. Last week I wrote a blog post about End of Year (EOY) receipting and I suggested some staff of organisations prefer a root canal over their EOY receipt process. I received interesting feedback about that blog post and I think it resonated with more than a few readers. I have received some excellent examples of EOY receipts and donor care over the last few weeks. I want to share some of them with you today and to highlight the pros and cons I see with each. 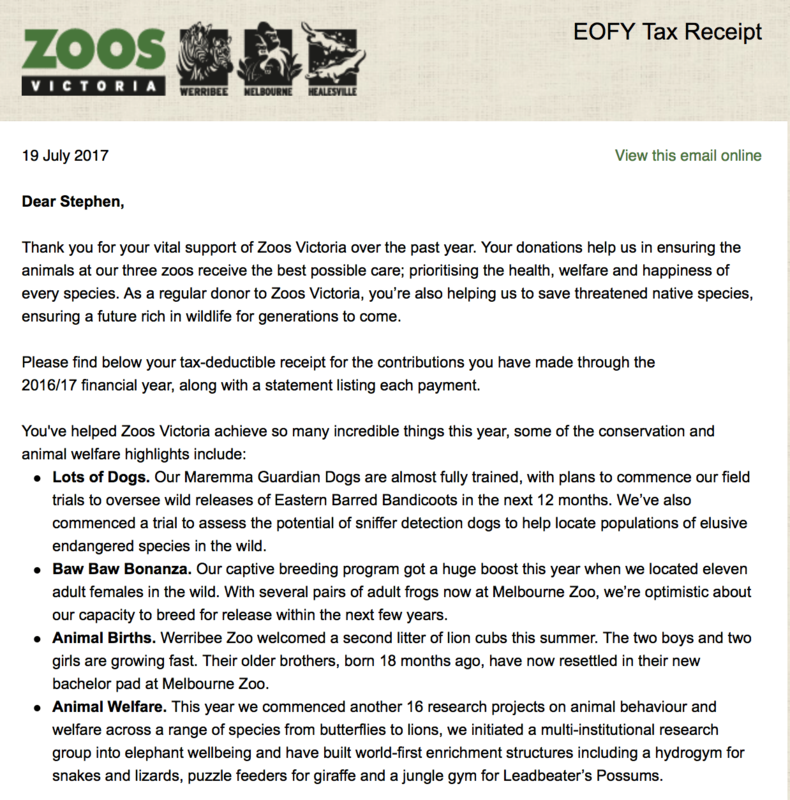 Pros: Zoos Victoria point out the impact of my giving in my EOY receipt. In this receipt, I learned about dog training, captive breeding programs, the birth of some lion cubs, and various animal research projects. I was also given key contact details (web, email and phone) if I am interested in learning more. Cons: Since Zoos Victoria is such a public space, and as a long-term monthly supporter, I wished they had invited me in for a tour. 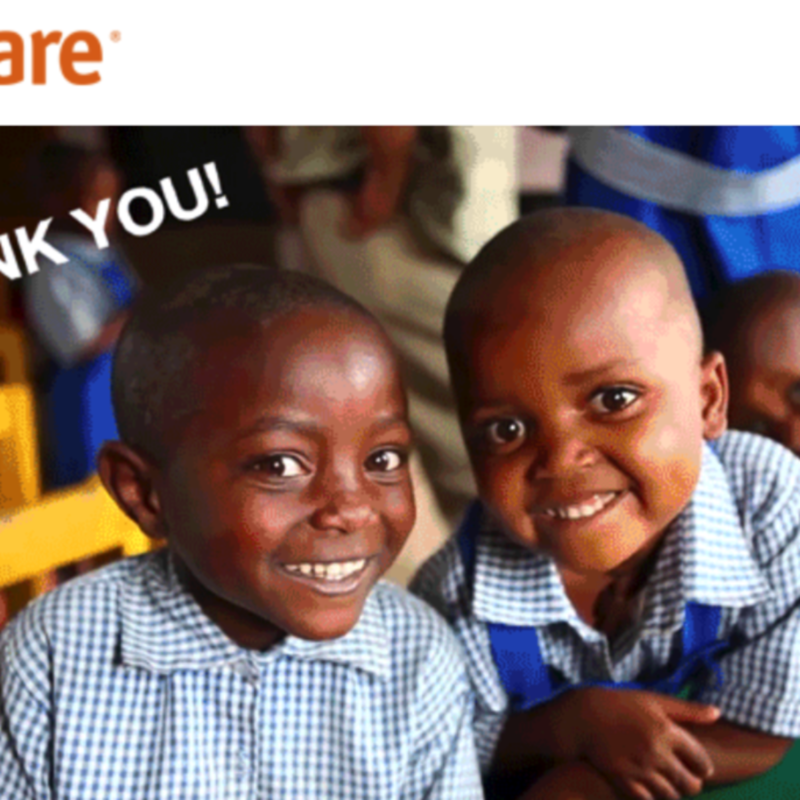 Pros: CARE Australia sent an eMail message of thanks, along with an automated slide show of people from all over the world. The images are real people in real locations. 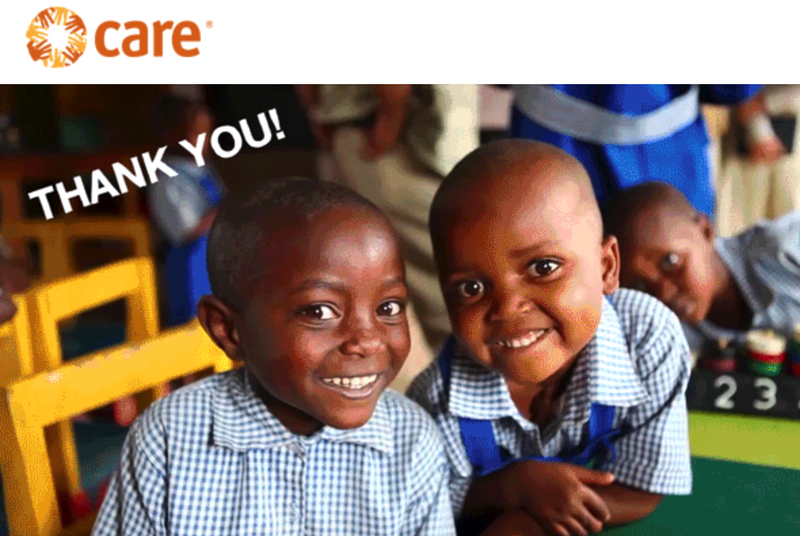 In the eMail, CARE included a link to a video message containing people worldwide offering their thanks. Cons: I wish CARE Australia had asked me for an additional gift in this message (this is the aggressive American fundraiser in me). 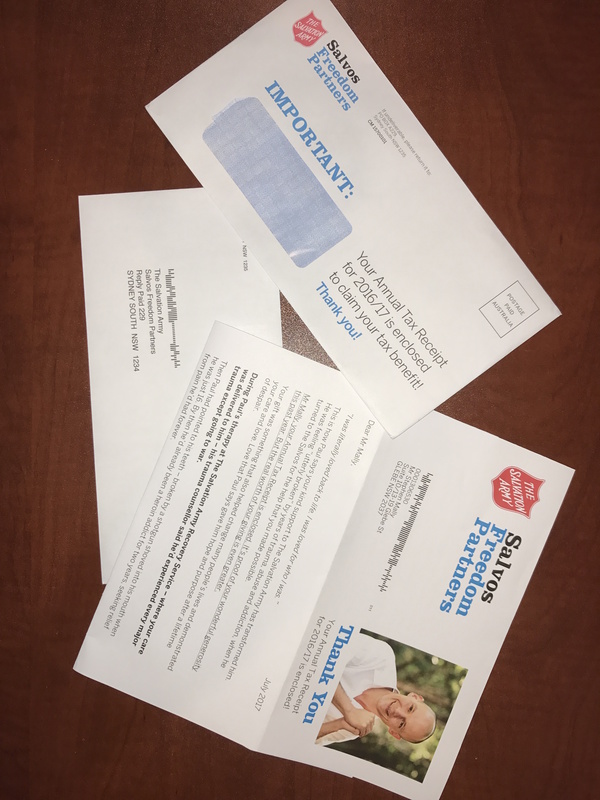 Pros: Salvation Army sent their EOY receipt in a clearly marked envelope containing teaser copy highlighting the content. Inside, the pack thanks me repeatedly and also tells the story about a gentleman named Paul. The letter makes an additional ask AND there is a return envelope for ease in making a donation. The EOY receipt is clear and concise, containing all my contributions. Cons: Salvation Army could have followed up with a thank you video similar to CARE Australia. Salvation Army has much to show in terms of programs helping countless Australians. Why not put this to video? In sum – use the EOY receipt as an opportunity to make an additional ask. At the same time, ensure the message of thank you is repeated throughout the piece. Finally, use video to tell your story and don’t forget your EOY receipt may be multi-channel. CRM loses the new car smell quickly. Is a change worth it? FundraisingForce receives a telephone call or web enquiry every four days from an organisation seeking to find the “perfect CRM”. They’re using The Raiser’s Edge, eTapestry, ThankQ, iMIS, Salesforce, or one of the other lesser known solutions. 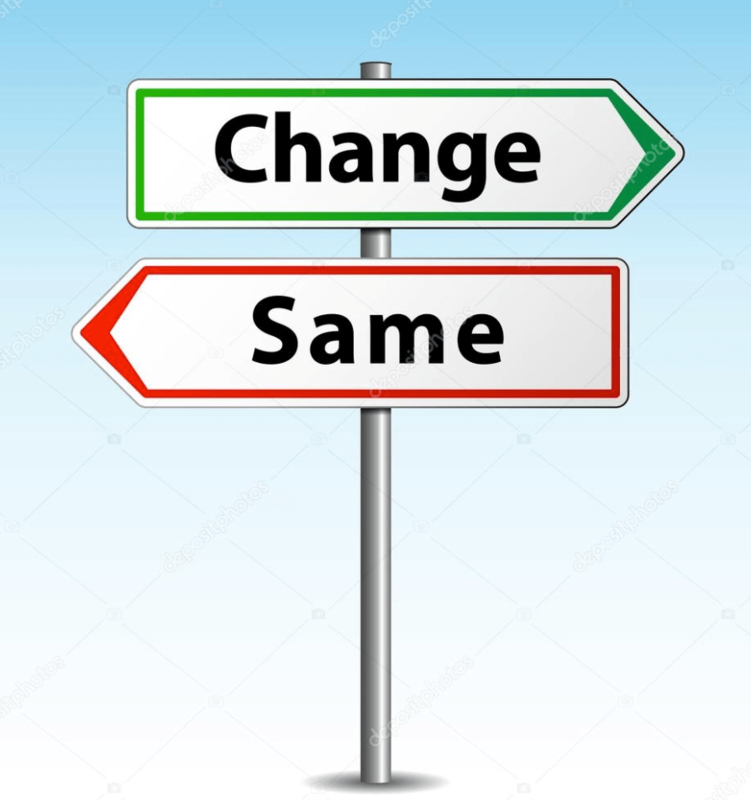 “It’s time to change”; the current system “does not work”, “it is not meeting our needs”, “it is antiquated and I know there are more up to date systems out there”, and “I used ‘ABC’ system at my old job. It worked really well” or “my friend uses DEF system at her organisation and she likes it” are all typical comments made. But, should you change CRMs just to change? The CRM loses the new car smell quickly. Is a change worth it? There certainly are legitimate reasons to convert from one CRM solution to another. The most legitimate of the statements above includes “it is not meeting our needs”. I would ask “what are your needs?”. Most charitable organisations, schools, and universities cannot articulate their needs or CRM requirements. That’s where organisations like FundraisingForce come into play. Requirements gathering. Our team will spend a number of days working with your staff to identify the key requirements for any new CRM. Workshops are held, business processes are analysed, and gaps in the current system are surfaced. Market supplier identification. Here we identify which suppliers FundraisingForce recommends should be included in the CRM search opportunity. Notification letter. A letter to be distributed to invited solution supplier participants inviting them to participate, outlining the process and the timeline, and asking them to sign your organisation’s confidentiality agreement. RFP letter. A cover letter to go with the Request for Proposals. RFP. A Requests for Proposals is written to outline the request you are making for the suppliers to submit a proposal. Business Functional Requirements. A large Excel spreadsheet containing a tab for each department and all associated requirements. FundraisingForce Observations and Recommendations. A document containing our observations and recommendations, which is then used for your organisation to address issues in parallel to teaching for a new CRM. Demonstrations and discussions. FundraisingForce will facilitate the demonstrations and discussions between suppliers and your selection committee. These demonstrations often require a couple of rounds. Negotiation. FundraisingForce will assist you to negotiate and solidify the best possible agreement and scope of work for your project. Your organisation has outgrown the limited functionality in the CRM. The current system does not meet requirements 1.7, 1.9, 2.4, 3.3, 6.9, and 11.4. Those six requirements are where your organisation plans to grow the most strategically and without a system meeting these requirements, that growth will be stunted. The customer service received from your current supplier is appalling. Some suppliers believe customer service ends with the sale. Once you sign the dotted line, it is difficult, at best, to get any sort of attention from the supplier. The only time you hear from the supplier is when the invoice is sent. The demonstration received from your current supplier suggests the supplier has no plans to improve their technology to meet our expanding requirements. The value for money paid to convert to the new CRM outweighs the cost maintaining the status quo. Once you decide to conduct a process, ensure it is facilitated by someone you trust to do a thorough and fair job. Then, used properly, your CRM is as key to your fundraising success as having an army of talented major gift officers. Find the right CRM, implement it correctly, and keep watchful maintenance over the CRM for years to come. Is your EOY tax receipt process as painful as a root canal? T hose who think the month of July offers a bit of a reprieve from the flurry of activity at tax year-end are incorrect. 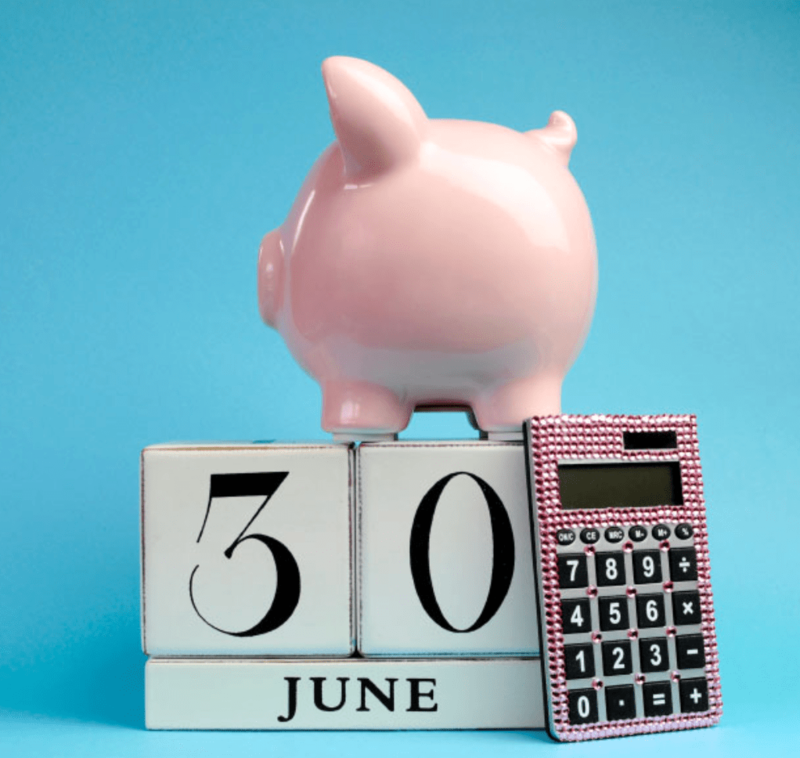 The month of July involves ensuring your generous supporters have accurate end of year (EOY) tax receipts. Some charities find their end of year tax receipt process to be as painful as a root canal. I have heard from several supporter services staff who said it took one, two, and three of them three to four weeks to prepare the data for their EOY receipt. Some suggested the data was in such rough shape they had to massage it repeatedly to get the data correct for the receipt. One suggested she “held her breath” for two weeks after submitting the file to the mail house in anticipation of phone calls from annoyed donors. Not every charity I give to has me sent a consolidated EOY tax receipt. In fact, of the 12 charities I give a regular monthly gift to, only 5 sent an EOY statement. Perhaps those charities that do not send an EOY receipt put in the too hard basket. Ensure your gift records are a true reflection of what donors have given throughout the year. Do this reconciling at the close of business each month to ensure accuracy. Create receipt only addressees and salutations, including joint addressees and salutations (when needed). If you receive a high volume of return to sender (RTS) mail, now is the time to perform address hygiene. Utilise a service which has access to the AUS Post NCOA PAF file. If you lack eMail addresses for a large portion of your data set, create a campaign to acquire eMail addresses over the next 6 months. EOY receipts are an opportunity for every charity to provide much-needed information for donors for their tax preparation. Additionally, EOY receipts are an opportunity to steward your donors and express your vast appreciation. Don’t put EOY receipts in the too hard basket.